Our healthcare customers face tough, daily demands to consistently deliver high performance, high availability environments. 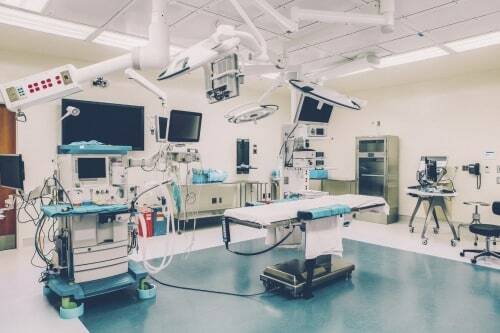 They know the outcomes they want, including operating rooms that satisfy the demands of surgeons and infection control that assures patient safety. Indoor environmental quality affects both comfort and infection control and can have a significant impact on patient care. Consistently maintaining air quality is critical to achieving healthcare setting accreditation, including Joint Commission on Accreditation of Healthcare Organizations (JCAHO) standards. Discover how Performance Services can help achieve the very best in healthcare critical space environments. Critical environments demand an integrated approach. The physical environment of a hospital directly supports patient care and healing. And, much like the systems of the human body, the infrastructure of a hospital building has complex and networked systems that must work together to function reliability and optimally. 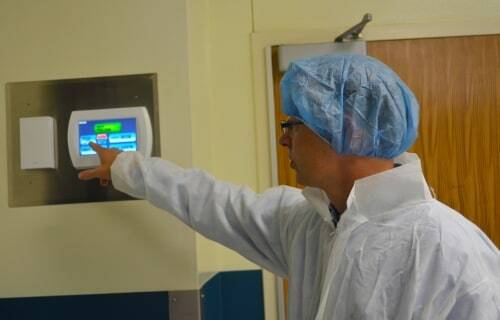 Performance Services has a proven track record of solving critical environmental issues in surgical suites, such as temperature, ventilation, moisture control, pressurization and airflow. We design and deliver precise HVAC and control system environments while reducing energy costs. Our integrated approach to healthcare projects demand expertise, healthcare experience and teamwork that includes detailed engineered design, precisely coordinated project management, building automation controls and ongoing optimization. Our unique approach to working in hospitals is fundamental to delivering excellent projects that support a healing environment. Our healthcare expertise derives from successful project delivery. Our healthcare customers need to know they are entrusting their environments to experienced professionals. Our proven expertise lies in taking the most challenging spaces and obtaining a deep understanding what is demanded from them. and then delivering solutions that not only comply with, but exceed the toughest codes and clinicians’ high expectations. Our healthcare team members bring combined experience working on more than 300 projects in 80 hospitals to each new project. We have designed HVAC and controls for critical spaces including surgical suite renovations and hospital central plant renovations. Proven benefits for critical spaces. Achieving desired outcomes in the healthcare environment is not a matter of chance. We believe great project outcomes result from an integrated design and delivery approach that includes a single point of accountability. Projects are completed on time and on budget, while savings and financial control are optimized. Fully compliant critical spaces consistently perform, maximizing physician satisfaction while minimizing disruptive and costly surgical suite downtime. Patient experience and the institutional profile are enhanced and total cost of ownership goes down. Applying our integrated approach, we deliver the complete project on time and on budget, with no reduction in desired functionality. To achieve 100% customer satisfaction, we avoid compromised solutions. We know from experience they will cost more over time and fail to deliver against the demands of critical spaces and their users. Our design and construction professionals work as a single team, to deliver positive project outcomes. We are also vendor independent, selecting the best equipment for specific requirements. Our in-house control system specialists write code to meet the exact needs of each space. We never take short cuts nor outsource the controls function. 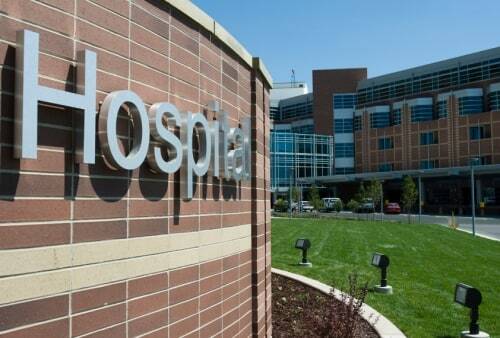 Critical Spaces are fundamental to the performance of hospitals. We design, renovate and guarantee environments that deliver performance and energy efficiencies. Improving the indoor environmental quality of hospital critical spaces, such as operating rooms, is a long established operational priority. Increasingly, it is a financial imperative too. When critical spaces are under control, they reduce costly hospital acquired infections and keep your reputation in tact. Project evaluation tends to focus on the up-front construction element. Yet a majority of the cost of owning and running any facility is generated through ongoing operations and maintenance. That’s why, at Performance Services, we work to achieve the lowest possible lifetime cost of ownership. We do this through a mix of optimized savings on initial construction costs and ongoing expenditure control, delivered by high performance, energy efficient environments. Improving the “patient experience” has become one of the core themes within healthcare. As one of the most important industry measurements, Hospital Consumer Assessment of Healthcare Providers and Systems or “HCAHPS” has grown in profile and impact as hospitals seek to maintain or grow market share and avoid losing reimbursements. Performance Services can assist in driving HCAHPS-influenced revenues, by helping to create excellent environments that actively contribute to patient comfort and safety. In designing and delivering critical spaces like surgical suites, reduction in the instances of hospital-acquired infections is a primary goal. It’s all part of delivering a recognizably optimized healthcare environment.